Wowiee Ladyfest Bristol is a biggie and a goodie – don’t miss it! Please see info about the Opening Party, Music, film, comedy and workshops & art programme below! Charity-led, cultural festival showcasing women who contribute a valid and significant amount of work to the art and entertainment industries. £5 entry or £3 with a Ladyfest weekend ticket. Come along to enjoy 9 hours of live performances, taking you through a plethora of genres but always providing high quality entertainment! A collection of art, ranging from embroidery to stencilling and comic work, jewellery, postcards, cupcake cases and handbags! With much of what’s on show for sale, the exhibition area will be held at Hamilton House and open between 10am – 5pm. MENTALITY PROJECT OPEN DEBATE BOARD:A chance to visualise feminism, in all of its many forms! Come along and contribute to this community art piece. DRUNKENWEREWOLF: Ladyfest’s very own, pick up a free copy of Issue 23 here, featuring interview with The Spinto Band, Hospitality, Evans the Death, Empty Pools and Slowcoaches. RISK & CONSEQUENCE: From London-via-Cheltenham, Risk & Consequence is fast becoming an important name on the streets of the capital, with a regular club night and management system already in tow. Get Issue 2 here for free. Ladyfest take you through documentaries, storyboards, animation and more as they explore the best female talent in the film industry, many of them local. What The Frock! is delighted to be teaming with Bristol Ladyfest for the next night of all-female comedy – at The Lanes on Sunday, July 8, from 7.30pm. Hot on the heels of the sold-out WTF! night at Arnolfini, WTF! and Ladyfest are taking over The Lanes retro bowling alley on Bristol’s Silver Street for one night only, and filling it with the sound of extremely funny women and uproarious laughter. Your compere for the night will be the hugely talented Rosie Wilby, and she’s introducing an absolutely packed bill. So please welcome to the stage Elf Lyons, Zahra Barri and the side-splitting double act O’Shea & Ogilvie. For more details about the acts and the event, please keep an eye on www.whatthefrockcomedy.co,uk, where biogs and pics will soon be posted. As if six fiendishly funny women wasn’t enough, WTF! and Bristol Ladyfest have also secured exclusive use of The Lanes just for you, so you can quite literally be rolling in the aisles… or enjoying some bowling at a special reduced price (£3.50). And as with all WTF! events, there will also be a raffle with comedy-fuelled prizes. Remember, while it may be an all-women line-up, absolutely everyone is welcome in the audience. We look forward to seeing you there. 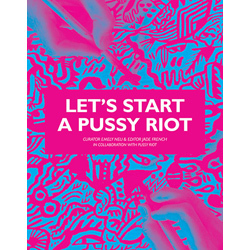 This entry was posted in activism, Art, comedy, craft, Education, Events, Feminism, film, Ladyfest, Music. Bookmark the permalink.